People have been playing with cards for hundreds of years all over the world. 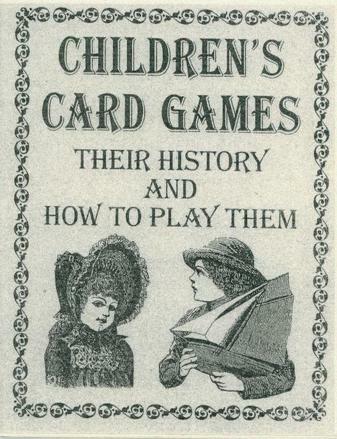 Since the early 19th century, children in America have developed a particular fascination for card playing. In fact, many of today's popular children's games were developed at that time. "Children's Card Games: Their History and How to Play Them" describes the history of 12 of the most popular children's card games of all times. Booklet, 28 p. : ill. ; 14 cm.